Our colleagues working in the communications area have luxuries that biomedical engineers cannot afford. In fact, communication engineers build their own systems and signals from scratch and obviously create them based on well known statistical signal processing theories and benefitting from the simplifying assumptions of Gaussianity, linearity and stationarity. However, the signals created by biological organisms defeat these assumptions and one is left with the challenging task to quantify and extract information from amazingly complex signal structures. For many years, biomedical signal processing fell in love with the simple FFT and the linear model, but it is clear that it is leaving now this “local minimum” in search of many more interesting, and more realistic approaches. This book clearly demonstrates the point exceedingly well. It is a great example that biomedical signal processing continues to be an expanding field, full of challenges but also of innovations and the excitement of “climbing the Everest” that is unparalleled in other areas. The book is composed of 15 chapters that cover a large spectrum of topics but are centered on the problems of decomposing biological signals and images into elements that carry biological meaning for clinical diagnostic. The paper by Tome et al is a great introduction because it addresses the principles of subspace decompositions for univariate signals. The paper by Blochl et al addresses the issue of interpretation, based on prior knowledge, microarray structures under the very difficult case of large dimension and small number of noisy samples. The paper by Zeiler et al explores the Hilbert Huang transform to discriminate between modes of nonlinear coupled systems. The paper by Segovia et al extends the statistical parametric mapping with a Gaussian mixture model to attack the difficult issue of multivariate modeling in SPECT for Alzheimer’s disease diagnostic. Chavez et al exploits an ordered subset expectation maximization algorithm to improve resolution of SPECT without the processing penalty normally encountered in more conventional techniques. Alvarez-Illan validates feature extraction and classification algorithms to automatically process functional brain images for more reliable diagnostics. Savio et al is also interested in automated diagnostic in MRIs and validates the combination of a voxel based morphometry preprocessor with support vector machines. De Vos et al present a principled view of multivariate decompositions for neuroscience and compare the state of the art techniques in EEG analysis in epilepsy. Lang et al expands on this topic with exploratory matrix factorization for multivariate biological data using novel tensor decomposition methods that are very efficient and promising for microarray data. Keck et al uses ICA for denoising biomedical data and presents very interesting cases of success for this difficult and unsolved problem. Huang et al addresses the very difficult problem of single event related potential detection for brain computer interfaces using generative models of the data to construct a Fisher kernel for support vector machines classification. Fung applies the same basic line of reasoning but now applied to left ventricular wall motion collected with ultrasound to create a Fisher kernel and measure in the corresponding reproducing kernel Hilbert space the distance between normal and coronary heart disease. Phlypo et al use spatial diversity to quantify atrial fibrillation and explains in detail the different methods of implementing spatial filters for diagnostic of this common condition. Marti et al explains the difficulties and the remedies of designing robust ultra sound image segmentation methodologies for freehand data collection, tumor detection and multimodality registration. Ciompi et al explains how atherosclerosis can be reconstructed and analyzed with intravascular ultrasound providing an automated way of diagnostic for this common condition. I hope you enjoy the reading as much as I have. Few years ago, processing of biomedical signals was mainly concentrating on filtering of signals for removing noise and power lines interference; spectral analysis to understand the frequency characteristics of signals; and modeling for feature representation and parameterization. Biomedical signal processing is a rapidly expanding field with a wide range of applications, from the construction of artificial limbs and aids for disabilities to the development of sophisticated medical imaging systems. These include ultrasound scanners, magnetic resonance imaging scanners and positron emission tomography (PET and SPECT). X-ray systems have also improved and are widely used for many purposes such as mammograms. On the other hand, acquisition and processing of biomedical signals has become more and more important to the physician. The main reasons for this development are the growing complexity of the biomedical examinations, the increasing necessity of comprehensive documentation and the need for automation in order to reduce costs. Recent trends have been toward quantitative or objective analysis of physiological systems via signal analysis. 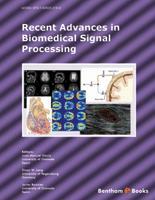 Analysis of signals accomplished by humans has many limitations, therefore, computer analysis of these signals could provide objective strength to diagnoses; however, the development of an algorithm for biomedical signal analysis is a significant challenge. Different techniques can be used to analyze a biomedical signal, these include: filtering, adaptive noise cancellation, and pattern recognition (to differentiate between abnormal and normal physiological signals). Medical image processing, using techniques such as X-ray and MRI, can be viewed as multi-dimensional signal processing. In addition, medical practitioners are increasingly using computer-based medical systems to collect, store, and process digitized biological signals. The signals they collect and process via these systems include bioelectric potentials, such as those generated by the heart (ECG or electrocardiogram), brain (EEG or electroencephalogram), or skeletal muscles (EMG or electro-myogram). Such signals include nonelectric signals that might be transduced and then recorded (for example, breath sounds or speech waveforms), and biomedical images from ultrasound, Xray, AT scan, MRI, SPECT, PET, etc. These signals are often interpreted heuristically by medical practitioners, and the need for sophisticated algorithms for processing, coding, and automatically interpreting the information these signals contain is increasing. Among the advantages of automated processing are objectivity, reliability, repeatability, and speed. Of course, as biomedical signal processing algorithms gain sophistication, more computational resources are needed, while most biomedical signal processing must be done in or near real time. The volume of data is often high, computational resources are often scarce, and the cost of resources and computing time is important. Thus, it is necessary to simultaneously consider not only whether a particular technique is useful but also how it might be efficiently mapped to special-purpose hardware to be included in a computer-based medical system. The transition from uni-processor to multiprocessor architectures is mandatory to achieve real-time performance in computerbased medical systems for biomedical signal and image processing. This e-BOOK will cover biomedical signal processing as used in both therapeutic and diagnostic instrumentation. A number of current research projects will also be outlined with emphasis on intelligent medical image diagnosis. 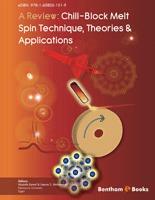 We would like to express our gratitude to all the contributing authors that have made a reality this book. 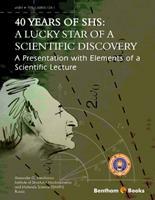 We would like to also thank Dr. Principe for writing the foreword and Bentham Science Publishers, particularly Manager Sara Moqeet, for their support and efforts.